Read a report of a very subtle experiment over on the excellent ‘Why Evolution is True’ blog. Before I tell you about, just a comment on the nonsense of needing a blog called that. Of course evolution is true. 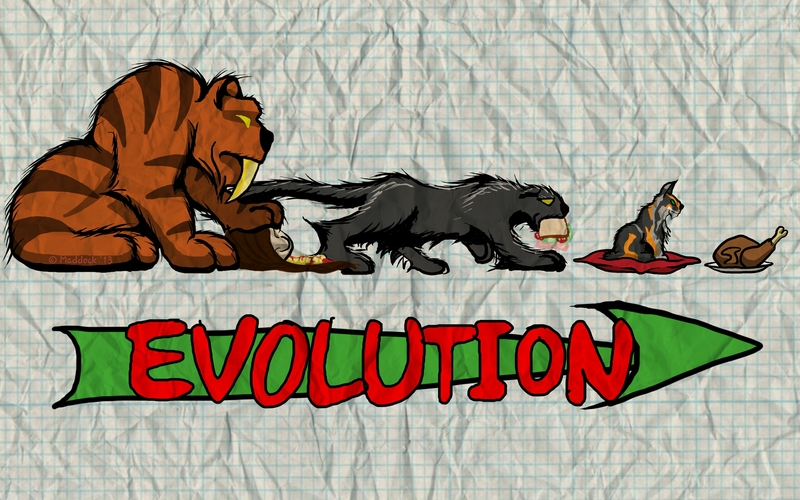 We kitties prove it, as the pinnacle of evolution. It is impossible to imagine a creator who is superior to a cat, we must have evolved to such a state of magnificence. Nothing better than us exists. Now, to the experiment – the description talked about the work of a clever child testing the effect of music on his cats. Of course, I can see the true experiment beneath the facade. Those clever kitties of science, Sasha and Sadie were testing just what they could make their human do! I’m sure that in no time at all, they will have him trained to play the music they do like and more importantly, provide belly rubs and ear scratches at the appropriate moments in the tune.